Almost everyone has a stash of medications somewhere in his or her house. It’s easy to collect a supply of pain pills, indigestion tablets, allergy pills and more in a drawer or cupboard. What about that prescription your doctor gave you months ago and that still has a few pills left in it? It’s important to corral your medications into a safe place far away from the reach of children’s fingers or pets’ curiosity. But what do you do when you have a bunch of medications to get rid of? For many people packing up to move, the choice is between throwing them out or packing them with you to your next place because you aren’t sure what else to do. You’ve probably heard that traces of anti-depressants, antibiotics, hormones, and other drugs have shown up in the water supply of some large cities. This is a cause for concern, and it is also a reason why flushing unwanted prescriptions or medications down the toilet or sink might be a bad idea. There are several options to flushing, one of which is certain to work for you. Community Take-Back Programs. 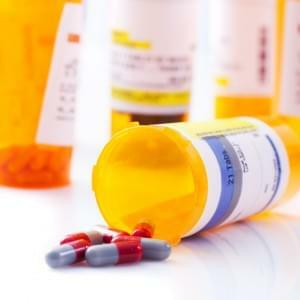 Some communities offer a take-back program for unused prescription drugs. Call your local government office to find out if such a program exists in your area. Talk to Your Doctor’s Office. Some doctors will relieve you of unneeded prescriptions if you bring them to the office. Throwing Them Away. If you can’t find any other method of disposing of prescription or OTC medications, you can mix the pills with something that most people find inedible or disgusting—coffee grounds or used kitty litter, for instance. Put the mixture into a sealable bag and throw the bag into the trash. This will discourage garbage pickers from picking out prescription bottles with pills or eliminate the chance of an animal accidentally eating them. You can take pride in your efforts to safely dispose of unwanted prescriptions or OTC medications. What’s more, you’ll have less to pack and less to worry about unpacking and storing in your new home. Value Store It offers secure, clean self storage options in locations throughout Florida, Connecticut, and New York. Visit our Home page to find locations and to rent a unit that works for you.